I don’t know how I missed this one but it seems Yokohama Alt slipped through the tight reviewing regime run at BeerTengoku towers. Anyway, Yokohama Alt is finally here with a decent camera to boot too. It’s a 5.5% German, a Dusseldorf style I’ll have you know, altbier that is brewed using caramel malt and German Altstadt yeast. No news on what caramel malt they used though by looking at it’s colour, probably a caramunich III malt? Perhaps. Brewed using a Dusseldorf recipe. The first thing you notice about Yokohama Alt when it is poured out is how creamy the head looks, like something that had come out of a can of Murphy’s or Tetley’s. There was a slight chill haze on the side of the glass but the deep reddish brown colour of the beer came through and was clearer than the photo suggests. While Yokohama Alt does contain caramel malts, the aroma wasn’t as strong as I thought it would be. If you’re going to put caramel malts on the label, then it better have that aroma. I guess all the carbonation had gone into making the creamy head as the body of Yokohama Alt felt flat in comparison and also on the watery side of the thickness. There wasn’t much hoppiness either to it though the caramel malts reappeared with a subtle sweetness that was nice but didn’t suit the watery body. The sweetness carries on into the aftertaste before fading away. 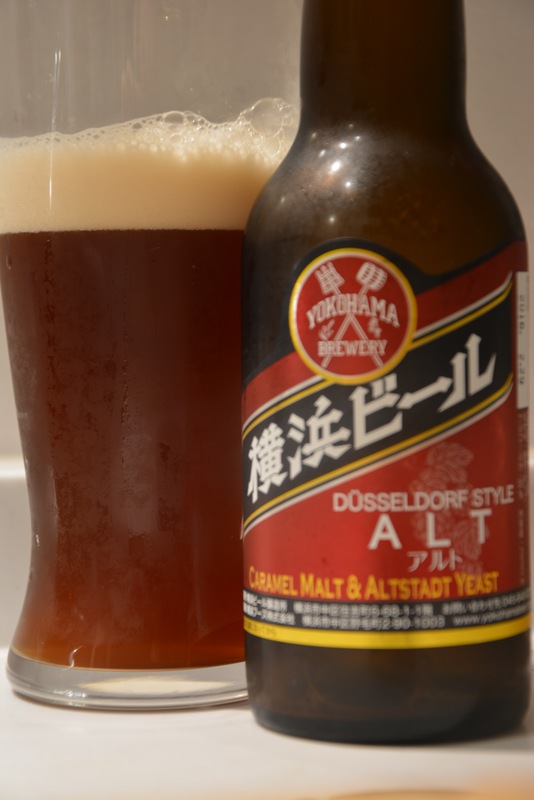 Yokohama Alt isn’t the worst attempt at an altbier I’ve had but I wouldn’t buy it again.